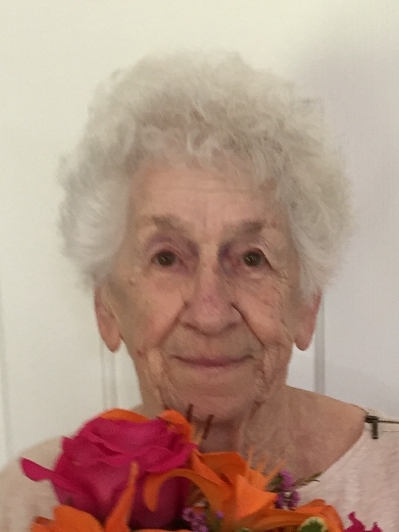 Evelyn “Lucy” Ruth Wilson, age 91 resident of Ontario, died Thursday, March 14, 2019 at Millcreek Nursing & Rehab in Galion. Born April 25, 1927 in North Fairfield to Marshall Lee and Freda (Jackson) Roberts, Jr. she had been a Shelby resident until 2003 then moving to Ontario. Evelyn worked in Willard at Pioneer Rubber Company and retired from Brunswick Defense in 1992. She then worked at Cornell’s Laundromat in Shelby until her second retirement. Evelyn enjoyed watching Ohio State Buckeyes Football, Cleveland Indians and looked forward to the Little League World Series every year. Above all she cherished the time spent with her grandchildren and great-grandchildren. She is survived by her daughter Nancy (Jim) DeVito of Ontario; four grandchildren; Brandon (Brittani) DeVito of Wilmington, NC, Dustin Wilson of Bardstown, KY, Carrie (Devin) Berkani of Shelby, Christy (Scott) Shackle of Shelby; nine great-grandchildren Carmen & Willow DeVito, Zepplin Wilson, Camryn and Nathan Zehner, Alexis Manning , Micah, Miley and Maddox Shackle; two sisters Genny (Jim) Reed of Ontario and Ann (Lee) Fenner of Mansfield and several nieces and nephews. In addition to her parents, she was preceded in death by her two sons Timothy Lee Wilson and Thomas Lynn Wilson; sister Mary Willford; three brothers, George "Joe", James "Jim", Robert "Bob" Roberts, and two infant brothers. Friends may call at the Barkdull Funeral Home & Crematory in Shelby from 2:00 to 4:00 PM Saturday, March 30, 2019. Funeral services will not be observed.